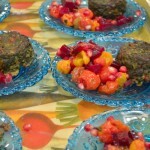 Recently, at my dairy Sukkot party in October, I served this dish. I find that making things in an individual size is a wonderful format for a buffet party. 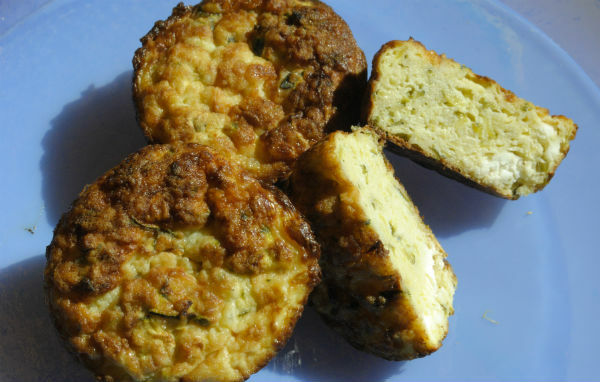 Individual Frittatas bake quickly, freeze great, and reheat easily, so you can make them ahead. Using good cheese makes that wonderful sharp, savory, cheesy taste and baking them at a high heat produces a crisp edge to the frittatas. I recommend using heavy duty, non stick, and high quality muffin tins. The better muffin tins release easily and are easy to wash. This recipe will fill 2 to 2 and 1/2 muffin tins. 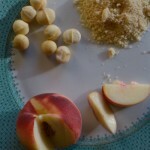 To shoot the pictures on this past Friday I baked only a half recipe. Heat oven to 400º F. Wash and dry zucchini and trim ends. 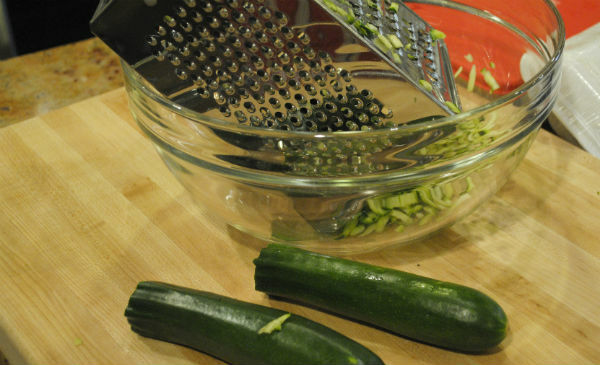 Grate zucchini on large holed side of a box grater into a large strainer placed over a large mixing bowl. 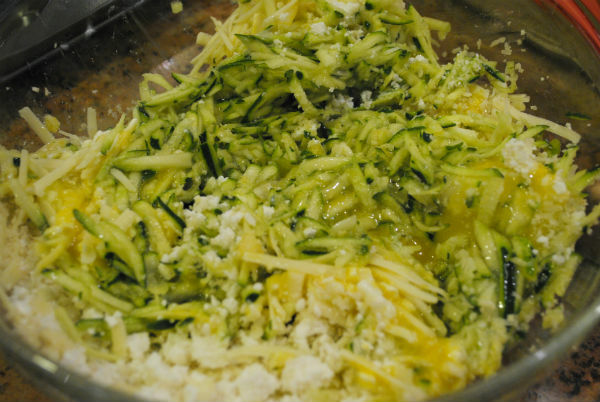 Let zucchini drip for a few moments while you grate and crumble cheeses. Remove strainer with zucchini from atop bowl. Dump any liquid that has collected in bowl under strainer. Place zucchini back into bowl you have just emptied. Next, add eggs, cheeses, and panko to zucchini. 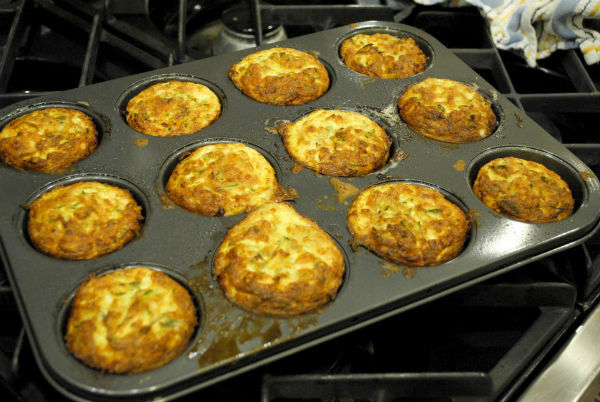 Prepare muffin tins by adding a bit of oil (around 1/2 teaspoon) in bottom of each cup. 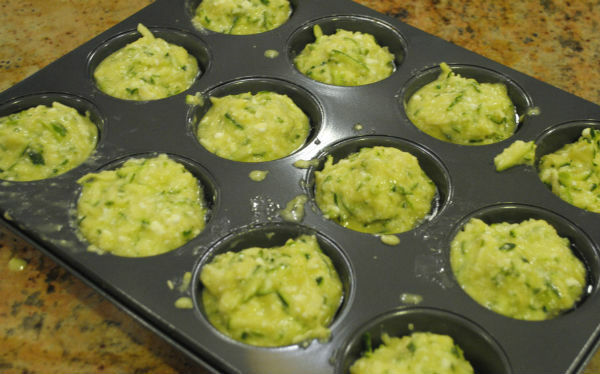 Gently mix zucchini with cheese and eggs and then, scoop batter into prepared muffin tins. Fill tins almost to the top. Spray tops of frittatas with olive oil spray. 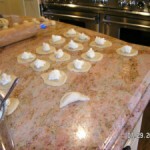 Place muffin tins in preheated oven. Bake until tops are golden and puffed. 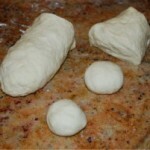 Baking time is from around 20 minutes, depending on your oven. 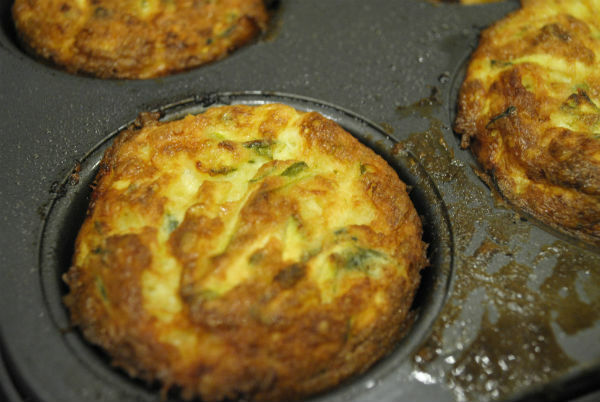 Let frittatas sit for about 5 to 10 minutes before popping them out of muffin tins… Serve warm. This smells so good you will want to eat one right away.